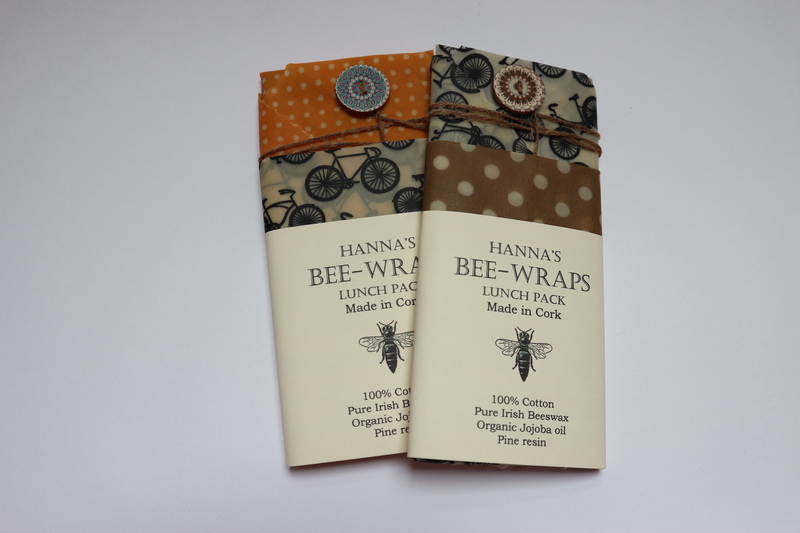 Hanna’s Bee-wraps are reusable food wraps made in Cork using 100% Cotton material, beeswax from her own beehives and other Irish beekeepers, organic Jojoba oil and pine resin. Perfect for storing at room temperature, or in the fridge or freezer – just put on your dishes, veggies, sandwiches, cheese or other food instead of cling film or tin foil. Do not microwave or expose to hot temperatures! 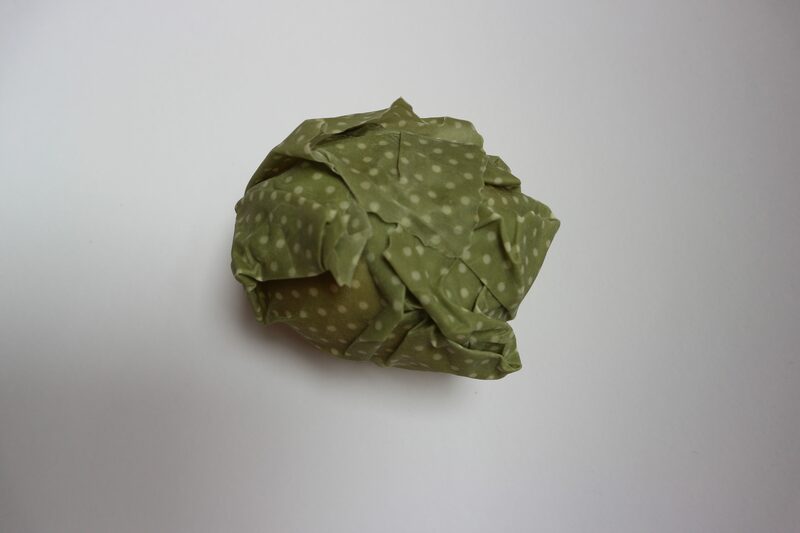 As the beeswax and resin melt into the fabric some spots or discolouration may occur. 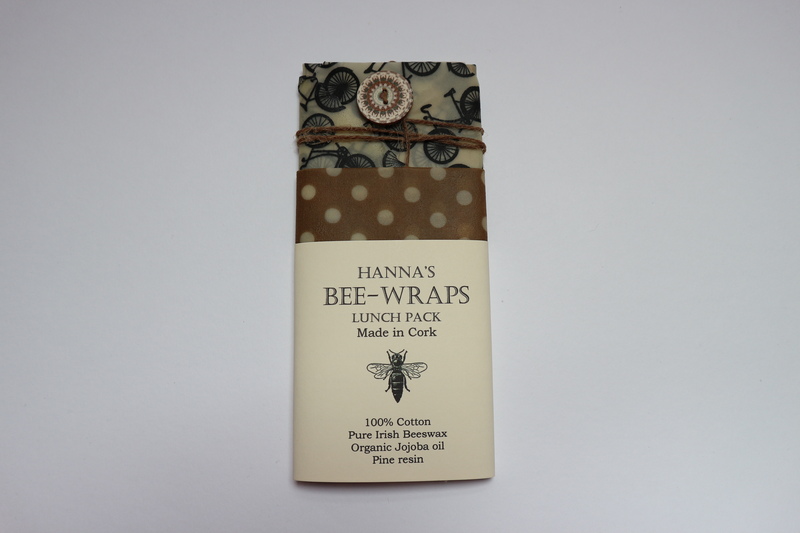 This is natural and does not affect the performance of your Bee-wrap. 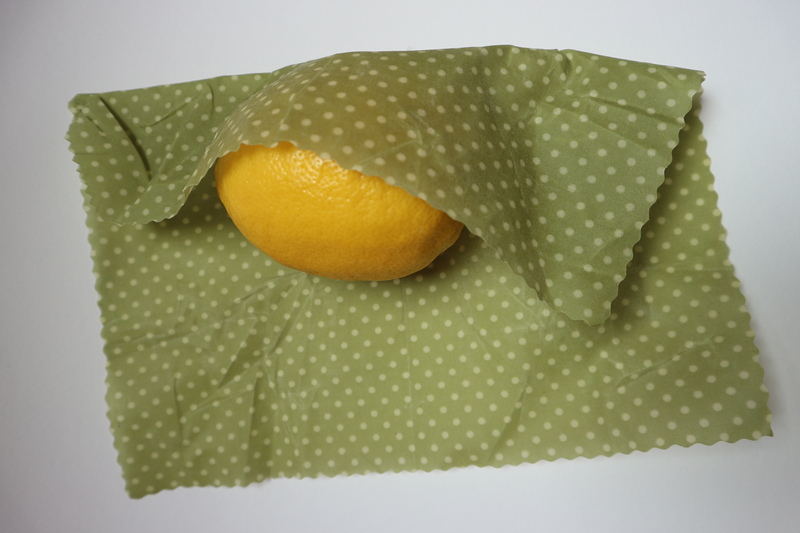 Refresh and pasteurise your Bee-wrap every few months by placing on baking paper in the oven for a few minutes at 70-100 degrees. 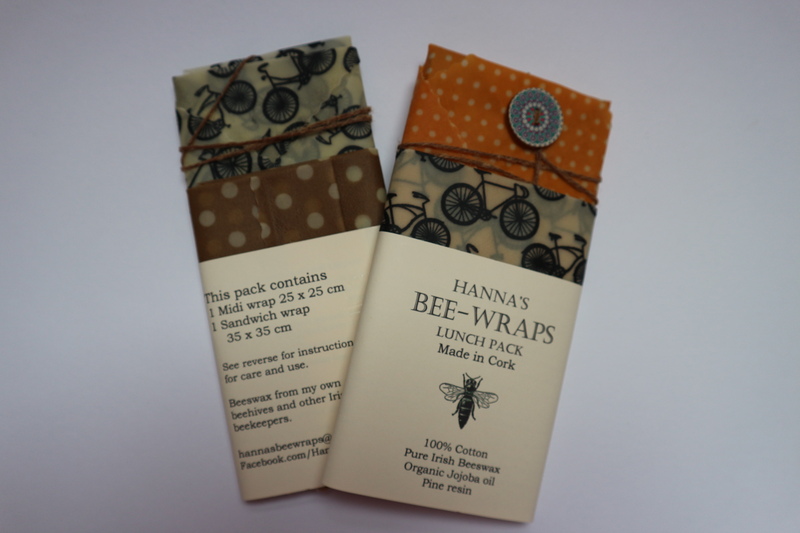 The beeswax coating on your Bee-wrap will decrease with use. 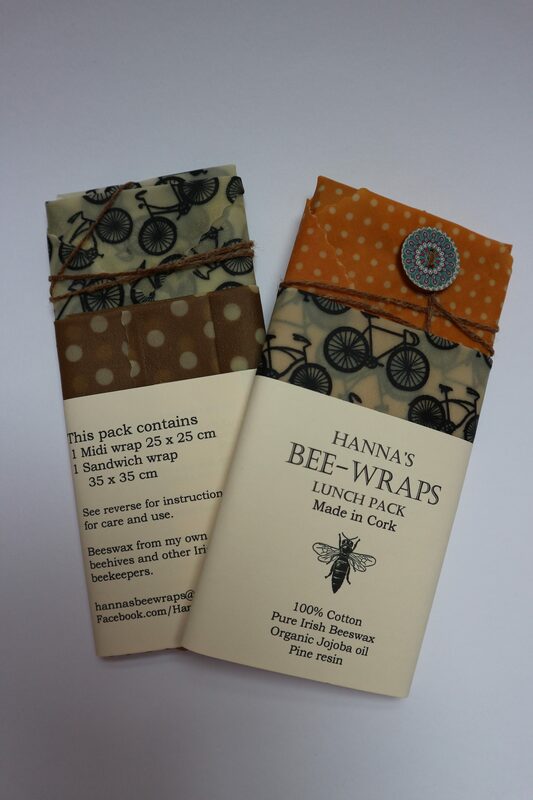 If you would like to restore it and increase the stickiness you can re-wax your Bee-wrap. DIY wax bars are available to purchase.